Quebec's attempt to establish a firearms registry is facing resistance, and with a January deadline looming, less than 20 per cent of the long guns believed to be in the province have been declared. Pro-gun activist Guy Morin is calling on the public to "wait until the last minute" to comply with the law. The spokesman for Tous contre un registre québécois des armes à feu, or in English, All Against a Quebec Gun Registry, said in an interview Friday his hope is either the registry will be abolished or so few people will register that it "cannot be enforced." The government has put the number of long guns — mostly shotguns and rifles — in Quebec at roughly 1.6 million. But since the registry opened last January, only 284,125 guns had been declared, Public Security Department spokesperson Louise Quintin said. Morin, whose group cancelled a plan in November 2017 to hold a rally at a memorial site for the 14 women killed at École Polytechnique, said Quebec's law is an affront. "We are Canadian gun owners, and this is insulting to us," he said. "Why do we have to register here when everywhere else in the country, you don't have to?" The federal Liberals introduced the Canada-wide long gun registry in 1995, saying it would cost roughly $110 million. The figure multiplied and ended up costing taxpayers many times that before the Conservatives abolished it in 2012. Following pressure from gun-control groups, Quebec passed a law creating its own registry in 2016. The government has given gun owners until Jan. 29, 2019, to register their firearms or face penalties of up to $5,000. Quebec initially said its registry would cost $17 million and another $5 million annually to maintain. Quintin said in an email that the budget for setting up the registry is now set at $20 million. Public Security Minister Geneviève Guilbault told reporters this week the government is hoping it does not have to resort to fines. "Yes, there are fines that can be applied for people who don't fulfil their obligations," she said. She encouraged people to register their guns over the Christmas holidays. Which guns need to be registered? Prohibited guns such as automatics, and restricted guns such as handguns, must be registered with the RCMP. 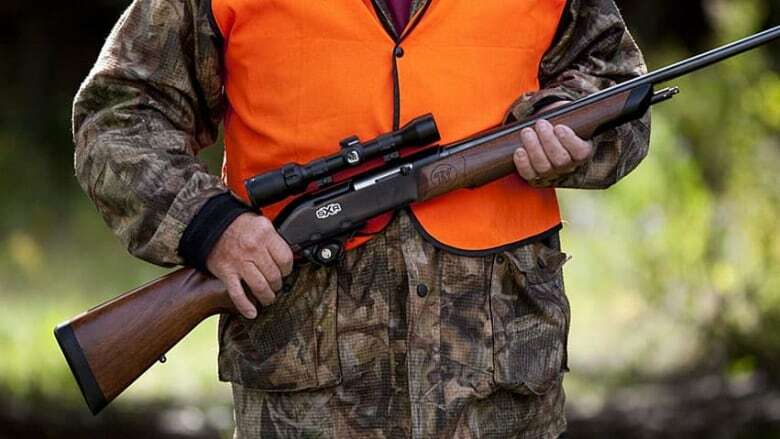 Long guns — rifles and shotguns that are mainly used for hunting and sport shooting — no longer need to be registered in Canada, except in Quebec. Canadians have been debating the value of the long gun registry for years. The Ontario Superior Court ruled in 2014 against a constitutional challenge to the Conservative law abolishing the registry, saying "there is no reliable evidence" the decision "actually has, or will, increase the incidence of violence or death by firearms." Morin said there was never a proper debate in Quebec about the registry because gun control has been a highly sensitive issue in the province since the 1989 École Polytechnique shootings. "The anti-gun lobby is hiding behind those victims," Morin said. "There is no one at the political level who wants to displease these people." Heidi Rathjen, co-ordinator of PolySeSouvient, a gun-control group formed after the 1989 Polytechnique massacre, lobbied for the creation of the Quebec registry. She rejects arguments it is a waste of money, pointing to provincial police statistics showing 80 per cent of firearms seized during crimes over the past 20 years were long guns. Rathjen said a registry is essential because guns cannot be controlled if the government doesn't know how many there are and where they are. "We've had the democratic debate," she said. "The bill was passed. This is now a question of whether or not the current government will yield to the pressure of a minority or will uphold the law."